Online services, robotics, drones, smartphones, electronic payment systems, mobile games, super computers, cyber security, the internet of things, e-commerce: not just random words but rather those sectors where China has become a dominant force in just a few years. 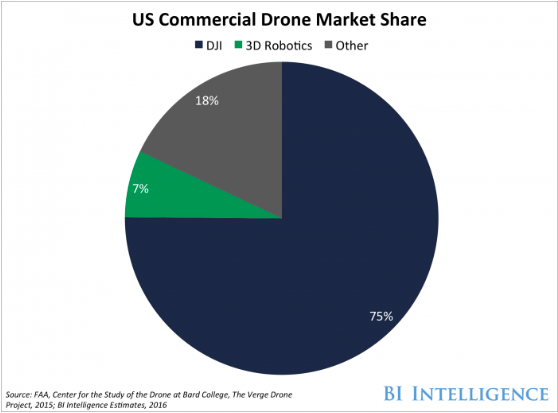 According to BI Intelligence, a Chinese brand, DJI, has gained a 75% share of the US commercial drone market. Almost unknown in the West until recently, such names and services as Alibaba, Didi, Baidu and Wechat are now circulating wildly among media outlets, professionals and on smartphones around the world. A major computer security conference recently held in Amsterdam featured a large number of Chinese speakers on a variety of topics, along with many top-level research and security products made in China. Wechat is being used by 650 million people worldwide, while its parent company Tencent Holdings Ltd. just bought the Finnish company Supercell, producer of Clash of Clans, for $8.6 billion. Thus the high-tech group is becoming a leader not just in the mobile messaging sector, but also when it comes to games played on smartphones and tablets. Tech giants and universities are spending billions in research and development. According to the OECD, China was the second largest R&D spender in 2012, allocating $294 billion compared to the US, a top-spender at around $454 billion that year. 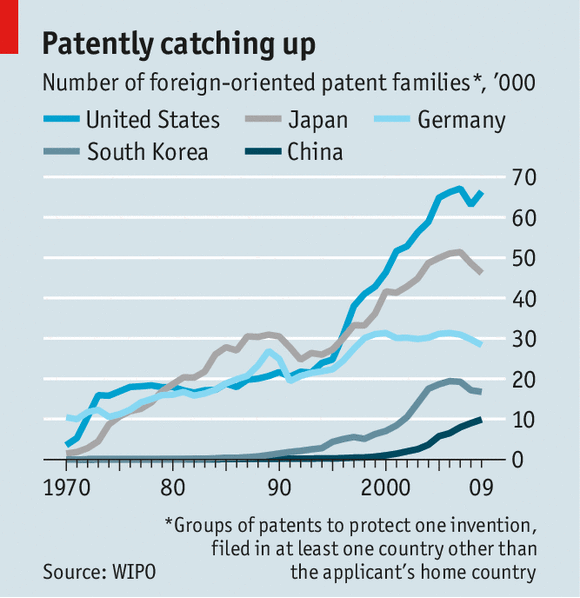 Furthermore, China is leading on patents. According to an Economist article, China is filling patents in every single sector. 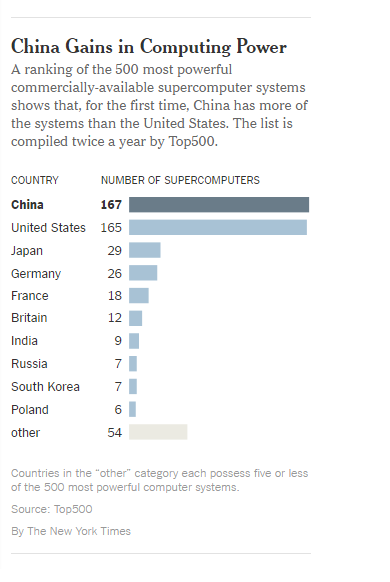 As the same articles points out, “supercomputers are viewed in scientific circles as an indicator of national technology leadership”. A leadership that is becoming increasingly unstoppable: tech giants, universities and other businesses are investing heavy resources in research and development to foster local talents and projects that will further benefit the Chinese economy. Last March, US tech media company The Information organized an event in China led by its director Jessica E. Lessin to better understand how this technology ecosystem is growing so fast. And a May report in Recode argued that “after three weeks in China, it's clear Beijing is Silicon Valley’s only true competitor”. This overall trend leaves little doubt on what many stakeholders in the West perceive as a big problem, that is, a Chinese Digital Empire with no borders and few competitors. On the other hand, though, it is obvious that such fast growth is also challenging for China itself. One of the most significant challenges is whether the Chinese government will be able to arrange and implement effective policies on such complex topics as privacy and cybersecurity, to name just a few. Also crucial will be to define a fair working relationship between tech companies, government and citizens. In other words, those broad and successful developments require a deep commitment to the future of the country itself. For example, Chinese officials should commit to bringing fast internet connectivity everywhere, implement digital literacy options, and switch to online services to ease bureaucracy. But at the same time they must protect citizen rights and provide some balanced policies on national security. These are crucial points to ensure that this new tech leadership will benefit China in its entirety (and even beyond), while also pushing the US to get even more competitive in a sector that is increasingly up for grabs.